Today’s healthcare patients are asking questions. They want to know the “why” behind the “what” that their care providers are recommending for their health. There’s a similar trend in dentistry — and it’s one we dentists encourage. We want you to know the “why” behind your treatment options — because you’re as much a participant in your own dental health as we are. The more informed you are, the better equipped you’ll be to make decisions to maintain or improve your health and the appearance of your smile. As your dental care partner, it’s also essential we help you develop a long-term care plan based on your needs. There are aspects of dental care that are routine: daily brushing and flossing, an oral-friendly diet, and regular dental cleanings and checkups to assess your oral health. But we also need to think strategically, especially if you have risk factors that could impact your future dental health. To do this we follow a four-step dental care cycle. In Step 1 we identify all the potential risk factors you personally face. These include your potential for dental disease, which could lead to bone and tooth loss, and the state of your bite and jaw structure that could complicate future health. We’ll also take into account any factors that could now or eventually affect your smile appearance. Once we’ve identified these various factors, we’ll then assess their possible impact on your health in Step 2, not just what may be happening now but what potentially could happen in the future. From there we move to Step 3: treating any current issues and initiating preventive measures to protect your future health. In Step 4 we’ll monitor and maintain the level of health we’ve been able to reach with the preceding steps. We’ll continue in this stage until we detect an emerging issue, in which we’ll then repeat our cycle of care. Maintaining this continuum will help reduce the chances of an unpleasant surprise in your dental health. We’ll be in a better position to see issues coming and help reduce their impact now so you can continue to have a healthy mouth and an attractive smile. If you’ve noticed some of your teeth seem to be “longer” than you remembered, it’s not because they’ve grown. Rather, your gums have shrunk back or receded to expose more of the underlying tooth. It’s not just unattractive — gum recession could lead to severe consequences like bone or tooth loss. But before we begin treatment we need to find out why it happened. Knowing the true cause will help us put together the right treatment plan for your situation. Here are 4 of the most common causes for gum recession and what we can do about them. The kind of gum tissues you have. There are two kinds of risk factors: those you can control and those you can’t. Because you inherited the trait from your parents, your gum tissue thickness falls into the latter category. Although there are degrees within each, gum tissues are generally classified as either thick or thin. If you have thin tissues, you’re more susceptible to gum recession — which means we’ll need to be extra vigilant about caring for your gum health. Tooth position. Normally a tooth erupts during childhood in the center of its bony housing. But it can erupt outside of it, often resulting in little to no gum tissue growth around it. The best solution is to move the tooth to a better position within the bony housing through orthodontics. This in turn could stimulate gum growth. Over-aggressive brushing. Ironically, gum recession could be the result of brushing, one of the essential hygiene tasks for dental health. Consistently brushing too hard can inflame and tear the tissues to the point they begin to recede. Brushing doesn’t require a lot of force to remove plaque: use gentle, circular motions and let the detergents and mild abrasives in your toothpaste do the rest. Periodontal (gum) disease. This, by far, is the greatest cause for gum recession: an infection caused by built-up bacterial plaque. The weakened tissues begin to detach from the teeth and recede. Gum disease can be treated with aggressive plaque removal and supporting techniques; but it’s also highly preventable. Practicing daily brushing and flossing and regularly visiting your dentist for thorough cleanings and checkups are the best practices for keeping your gums as healthy as possible. Dental implants are the ideal tooth replacement with their life-like appearance, high success rate and durability. If you have significant dental issues, they may seem like the perfect answer. But before you choose to replace a problem tooth with an implant, it might be to your benefit — financially and health-wise — to consider saving the tooth first. 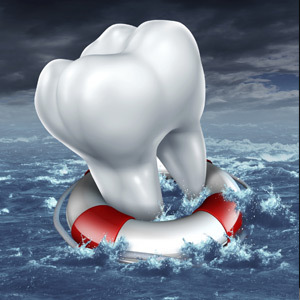 Tooth decay can be a formidable enemy, destroying both tooth structure and the tooth’s connectivity to the jaw. 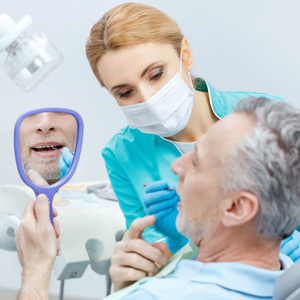 But there are treatment options even for heavily decayed teeth, including cavity filling with composite resins or porcelain that look and function like natural teeth. For decay deep within a tooth’s interior, root canal therapy can rid the pulp chamber and root canals of decay and seal them from future occurrences. The treatment’s success rate is comparable to and less expensive than implants. While decay damage can be significant, adult teeth are more at risk from periodontal (gum) disease, a gum infection caused by bacterial plaque on tooth surfaces. This disease can weaken gum tissues until they eventually detach from the teeth and lead to loss. Gum disease, though, can often be brought under control by techniques called scaling and root planing that deep clean tooth and root surfaces of plaque and calculus (hardened plaque deposits). Scaling may require multiple sessions and will require a greater effort from the patient in performing daily oral hygiene and visiting the dentist regularly to closely monitor gum health. And more advanced cases may require surgery to access deep pockets of infection or repair damaged tissues. But even with this effort, treating gum disease rather than replacing a tooth could be much less costly — and you’ll be able to preserve your own teeth. On the other hand, the disease process may have gone on too long and caused too much damage for the tooth to be saved. In these cases, the best option is to remove it and install a restoration like an implant. By first completing a complete dental examination, we’ll be better able to advise you whether your best course is a “tooth rescue” or a replacement. If you would like more information on dental repair or replacement options, please contact us or schedule an appointment for a consultation.